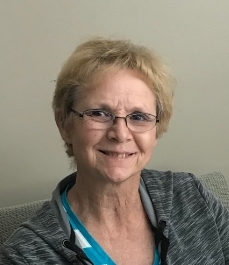 Kathleen Louise “Kathy” Haselhorst, 68, Hays, died Thursday, February 7, 2019 at HaysMed. She was born November 7, 1950 in Monterey Park, California the daughter of Joseph and Mildred (Patton) Lefebvre. On April 8, 1967 she was united in marriage to Gilbert Werth. He preceded her in death on April 4, 1995. On November 11, 2000 she was united in marriage to Bernie Haselhorst. She was a housewife or “domestic engineer” as she liked to call it. She was a former member of Our Lady Help of Christians Catholic Church, the Christian Mothers, and a former religion teacher at church. She was a 4-H leader, and a former Ellis County 4-H board member. She enjoyed traveling, landscaping, cooking, sewing, and spending time with and caring for her grandchildren. Survivors include her husband, Bernie Haselhorst, of the home in Hays, three sons; Christopher L. Werth and wife Angela of Kinsley, Michael J. Werth and wife Charlene of Antonino, and Dallas Haselhorst and wife Dacia of Hays, two daughters; Cynthia M. Pulse and husband Greg of St. George, Kansas, and Wendy Porembski of Overland Park, two brothers; Joe Lefebvre and wife Sydna of Tacoma, WA and Tony Lefebvre and wife Clara of Colwich, a sister; Becky Lefebvre of Colorado Springs, sixteen grandchildren; Shaina Werth, Justine Sperber and husband Chase, Clarissa Werth, Jessica Isaac and husband Eli, Jacob Werth, Phillip Werth, Lauren Benjamin, Carly Benjamin, Jarrett Woofter, Brody Pulse, Matthew Werth, Mason Dean, Gianna Haselhorst, Aria Haselhorst, Ellia Haselhorst, and Ayla Haselhorst, two great grandsons; Xaedin Werth and Jaxson Sperber, and numerous nieces and nephews. She was preceded in death by her parents, her husband Gilbert, a brother Roger Lefebvre, and a sister Linda Lefebvre.